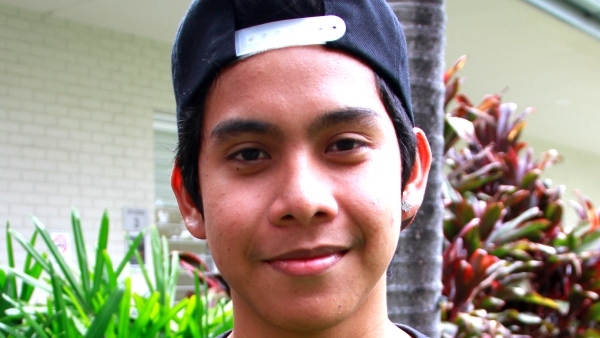 From the Philippians to Australia, Leo has a dream of working in the film industry. As we know with dreams there are always obstacles, in Leo’s case its language barriers, self-confidence and home sickness. Despite this, he strives to make himself confident with the unconditional belief and support from his mother. When and where were you born, on what date and year? I was born in the Philippines, 2000, I’m 16 now. In the Philippines, we’re always outside with friends. That’s the best experience I have until now, even here in Australia. Describe a sensory memory from your childhood (favourite meal, most memorable smell as a child). My favourite smell is my friend’s mum cooking of adobo with soy sauce. Because when my friends and I were playing outside and we weren’t that hungry. We would smell that food and it was like heaven. It’s kind of different because when you grow up in a different culture and you come here. It’s a different culture, especially for me. What dreams do you have for your future? My dream is to be an artist, to be on TV or behind the camera. But at this stage [in my life] I don’t think it will come true because I think it’s impossible. But there is still hope that I’ll reach that dream. Are you doing anything to help you get there? I’m doing drama at school. Family is strength for me, especially my mum. She works hard. The homesickness. Especially with my friends, I miss growing up with them. How did you come to Australia from the Philippines? In the Philippines; we had a half concrete and half wood house. When my mum came to Australia [she’s actually from Hong Kong] and her boss transferred her here. And she ran away, but she met someone here. I’m really grateful he is the one for my mum. And my mum decided to bring us [four siblings] here in Sydney. We’re really lucky to be here. I just tried. I just make myself confident [tell myself] that I can do it. My English is bad, but I’m trying my best to join every even [including Four Elements] in and outside of school. I joined a dance school last year and I’ve met a lot of people at who have given me strength. They’ve told my English isn’t that bad but you can communicate the sound more. They give me strength and confidence. How did you connect with Dancekool? I searched for a dance school here and the closest one is in Town Hall. My chorographer, Karen, told me there’s a free workshop here in Bankstown and I decided to join and to also meet new friends. If you have one piece of advice for your younger or future self, what would it be? Be unique, be yourself and do what you want. There’s hope out there and I’ll reach my dream. Freedom, that’s a big word for me. It means you do what you want without judgment from others, in the right way. Making decisions with your family and doing the right decision.